My husband and I have been mulling over a refinance over the last few months. Our mortgage was rolled over to another banking institution when Washington Mutual folded, and I’ve never really enjoyed the service. The clincher came when I called to talk about options and interest rates. I did my homework: I checked rates online, pulled my credit report, and ran a quick home valuation so I could approach them with solid numbers. Unfortunately, the rate they offered me was nowhere near their best. Whether for your mortgage, your day-to-day banking, or your savings and retirements, banks are in the business of customer service. And, when your bank is no longer giving you what you need, it might be time to reconsider your relationship. I’m currently in the process of shopping around a few different institutions, and just as I suspected, they’re all willing to give me much better rates and perks, such as zero closing costs on a refinance. It’s given me a lot to think about when it comes to where I do my banking and why. But poor rates on a refinance aren’t the only reason to cut ties with your financial institution. There are numerous reasons why you might want to leave your current bank – and if any of these apply to you, it might be time. Your bank offered perks and a great experience at first, but customer service has dwindled over the years. You might find that your mega-bank has impersonal service, or that your community bank has poor hours, or that you’re not in love with the branch atmosphere. Whatever the reason, if you feel like your customer service experience is lacking, you may be able to do better. How to Make It Right at Your Current Bank: Talk to the branch manager at your bank and mention that customer service has been an issue. He or she may be able to address the problem, and thereby improve your experience. If hours are an issue, you might be made aware of online features that mitigate the need to bank at a physical location. When to Move On: If the manager doesn’t seem interested in improving your experience, visit the physical branches of a couple of other banks in town and look at online banks. Check out their hours (if applicable), the amenities offered (such as drive-up window and ATM), and check the website for customer support. You can also look up online customer reviews for just about any bank to make an educated decision. Because loans can be cumbersome to refinance especially with a new institution, you might think it’s easier to just stick with the high rate on your current loan. But if another bank offers a better rate and can save you money, see if your current bank can match the offer. If not, then the extra effort to get a better rate is probably worth it. How to Make It Right at Your Current Bank: Obtain a pre-approval – whether it’s for a mortgage, refinance, auto loan, or otherwise – from another bank and provide proof to your current institution. Then, find out whether the bank can match the new offer. If so, you’ll score a lower payment with minimal fuss. When to Move On: Does your bank refuse to give you a better deal? Save money and make the switch. While it may take extra time, the lower interest rate means more money applied to your principal and potentially thousands of dollars in savings over the course of your loan. A couple of weeks of gathering documents and signing a new note is worth the savings. If you’re getting married, you’ll probably want to open a new account. You and your partner need to do the research to decide which bank to use – and it may not be the institution with which you currently bank. Another bank may serve your needs as a married couple more effectively. How to Make It Right at Your Current Bank: Talk to your partner about the reasons why you should open a joint account at your current bank. If you have several accounts at your current bank and love the customer service, you might be able to stick around. When to Move On: If your partner’s bank (or another bank altogether) has better services, products, and amenities (and since you’re opening a new account anyway), it’s a good time to make the switch. Fees are a fact of life with banking. But when fees are unusually high (for example, $30-plus for an overdraft fee), it should give you pause. Consider Bank of America: A MyAccess checking account carries a $12 monthly fee that is waived if you can keep your balance above $1,500. However, credit unions and institutions such as Zions Bank and Ally Bank offer the same services for free. Similarly, banks should not charge unnecessary fees, such as maintenance fees, minimum balance fees, account closure fees, paper statement fees, or a human teller fee. There are plenty of banks that offer all of these services (and more) for free. How to Make It Right at Your Current Bank: If you incur a one-time overdraft or late fee, ask your bank to forgive the amount this one time. A good bank would not mind refunding the fee if it’s a first-time offense. But if you signed up for an account and agreed to all the fees, that trick will probably only work once. Be more careful in the future. When to Move On: If your bank is charging you for services that are commonly free, ditch it for something better. There is a good chance you agreed to the exorbitant fees when you signed up for your account, so you’ll have a hard time negotiating them away. However, before you sign on with a new bank, do some homework, read the fine print, and see what customers are saying online regarding fees so you know what to expect. It’s pretty hard to maintain a long-distance relationship with your bank, especially if there isn’t a branch in your new location. When you’re moving, opening a new account is pretty much par for the course, so don’t feel bad. How to Make It Right at Your Current Bank: Call your bank’s customer service line and ask if there’s a branch in your new location. Or, if you do all of your banking online, consider your options: You could keep a savings account open if you really value the bank and service, even if you plan on moving your day-to-day checking to another bank. 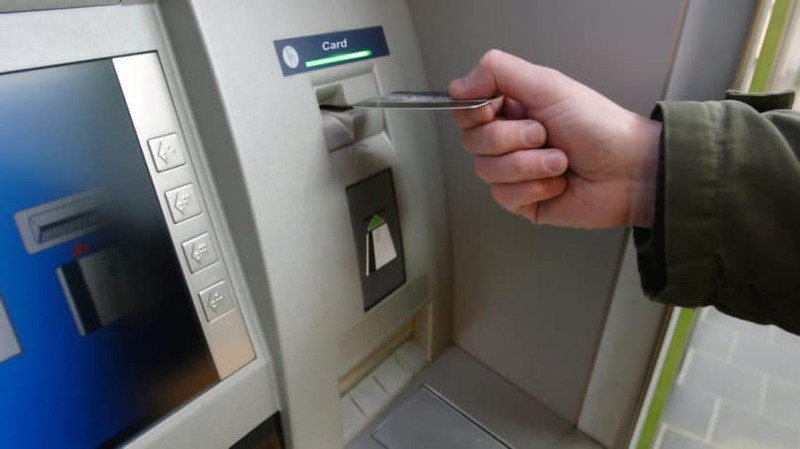 That way, you’re less likely to spend the money in your savings if you can’t simply withdraw at a local ATM. When to Move On: If there’s no branch nearby and little in the way of online management tools, you’ll need to find a new bank. I fully utilize online banking. My credit union has many online features, such as online bill pay, budgeting, and account management. However, my husband banks with a national institution that lacks a lot of the online functionality that I enjoy. If your bank doesn’t have the features you want (or need) to manage your finances effectively, you might need to explore alternatives. 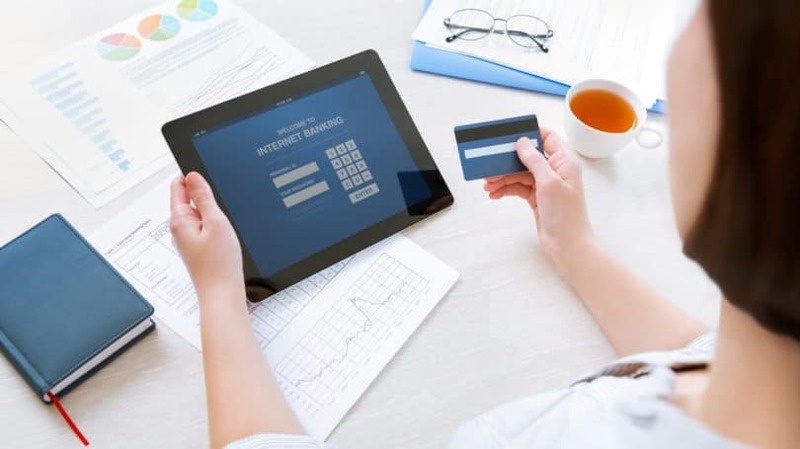 How to Make It Right at Your Current Bank: Your bank might have online services and features, but if you haven’t checked out its site and explored its capabilities, you don’t know for sure. See what you bank has to offer by signing up for an online account or by calling customer service. When to Move On: My husband’s bank only allows mobile deposits up to $1,000, and it’s very inconvenient, especially when my credit union offers mobile deposits up to $5,000. I’m urging him to switch because my bank simply offers better features – especially for a busy family. If your bank can’t offer what you need, move on to one that can. With all the apps and features offered by modern banks, there’s no need to go without. When unaffiliated ATM fees can run as high as $4, the cost of access to bank machines can really add up. I like to make sure my bank has plenty of ATMs – and that I know exactly where to find them. How to Make It Right at Your Current Bank: Check your bank’s website for ATM locations and keep track of the ones nearest you. Or, if you bank with an institution that has little or no brick-and-mortar locations (an Internet bank such as Simple), find affiliated ATMs that allow you to withdraw cash without fees on the bank’s website. When to Move On: If you prefer to pay with cash but find yourself regularly paying ATM fees, consider which ATMs you hit the most. It probably makes sense to switch to one of those banks and save money on fees. Think about it: If you pay $3 twice weekly to pull out cash, you’re paying more than $300 a year just for the privilege of getting your own money. I get annoyed when I see a commercial for one of the banks I use that’s advertising perks for new customers only. I want to know, what do the long-time customers get for being so loyal over the years? That’s why I’m immediately suspicious of banks that constantly offer new bank customer perks – what does that say about how they treat their longstanding clients? How to Make It Right at Your Current Bank: Give your bank the chance to offer you the same perks that a new customer gets. I’ve had an annual account fee waived simply by asking the institution if I could get the same deal I saw advertised to new customers. When to Move On: If your bank isn’t willing to show a little love to a long-time customer, they clearly don’t value your loyalty. So don’t give it. Find a bank with better customer service, and you may even score some of those new customer benefits when you make the switch. While there’s nothing inherently wrong with spreading your accounts around, it can get confusing when you’re managing multiples of the same type of account (such as a checking account) at different banks. Make things less complicated by finding your favorite bank and combining accounts. How to Make It Right at Your Current Bank: If you love one of your current banks, see if you can roll some of your other accounts over to it. Having different types of accounts at different institutions can be confusing to say the least. If there’s no need to have multiple open accounts, then don’t. When to Move On: You may have open accounts at places you used to bank with, or a small amount of money in a forgotten account. Get rid of the dead weight and streamline. If you’re not attached to your current bank, it’s a good time to research new options and move your cash to one that is more convenient. 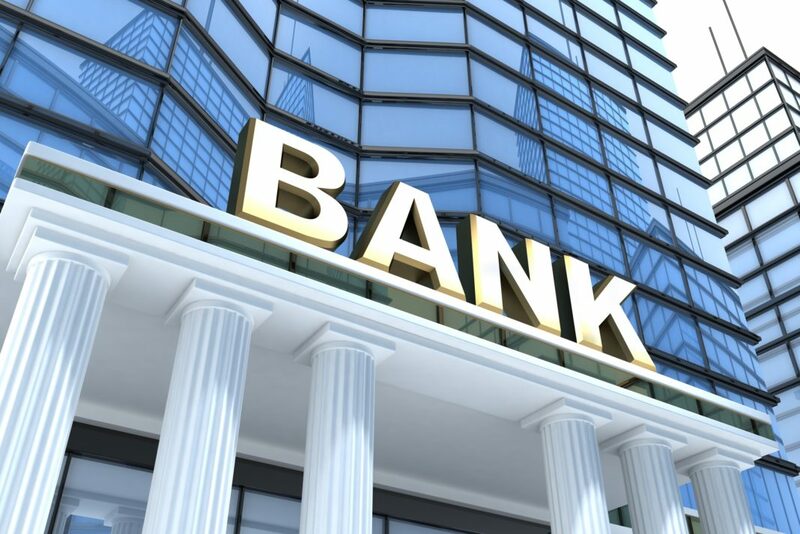 If you’ve decided that another bank will serve you better in the long run, you need to begin the process of moving money to your new banking institution. While it might seem a bit overwhelming, breaking it down into several easy steps can make the process painless. Cancel Your Automatic Payments. If you pay bills automatically from your old bank account, access your account online and cancel those payments. Write down account numbers, payees, and amounts so you can set up those payments with your new bank. This also goes for services that automatically bill your bank account or affiliated debit card on a regular basis. Look at recent billing statements to determine which services you’ve set up to do this. Then, visit their online portals to bill instead to a credit card or your new bank account (once it’s funded). Be careful not to miss services that auto-renew, and quarterly or bi-annual insurance payments. Open Your New Account. Have your new account ready by depositing the minimum amount to “hold your spot” until you transfer your money to your new account. Request a Certified Check. If you can, ask your old bank for a certified check for the amount currently in your account. Certified checks tie up your funds for about three days as you remove them from your old bank and then deposit in your new account. If you need the money immediately, request a wire transfer. Just be aware that you’ll be charged fees, while certified checks are usually free. Transfer Cash to Your New Account .Either bring your certified check to your new account for a deposit or wait until the wire transfer is complete. Set Up Automatic Payments. Using the information you gathered when canceling payments with your old account, use your bank’s online tools to set up your automatic payments once again. Failing to do so could result in late fees with your various payees. Set Up Direct Deposit. If you receive direct deposit from an employer or other source, you’ll need to set up your new account accordingly. Close Your Old Account. With the funds moved to your new account, contact your old bank and inform them you’d like to close your account. You’ll likely need to visit the branch in-person to sign a few documents, as well as present various forms of ID to officially close the account. Call ahead so you know what to bring. We all know that breaking up is hard to do, but when it comes to your money, your convenience and satisfaction should be top priority. With so many options, from traditional banks to online institutions, there’s really no reason to stick with an unsatisfactory bank. Either try to make it right, or make a clean break – but do what’s best for you. Have you ever had to break up with your bank? What was the reason?